The 2015 fishing season is drawing to a close. Last weekend we closed my Grandpa’s cabin up in Northern Wisconsin for the year. I spent most of my non-working time doing some deer hunting, but I did get in about two hours of fishing after taking out the pier. As I reflected on my lack of success, I realized that I don’t really do too well after the lake turns over. Turnover is the process a lake goes through in the fall as the water temperature falls. Once the surface temperature gets colder than the deeper water (the water below the thermocline), it gets heavier and sinks to the bottom, which stirs up the entire lake. With water temperature and oxygen content evenly distributed over the entire lake, the fish can literally be anywhere. As I was fishing I marked pods of baitfish sitting on the bottom in 40 feet of water. It’s awfully tough to get down that down when using artificial bait. Another factor to consider is that cisco spawn around this time of year, so the muskies have no reason to be anywhere but near these clouds of fish. I did spend a bit of time trying to fish near these pods by vertical jigging a Fuzzy Duzzit, but got no action. I did manage a 21″ northern, but aside from that I saw nothing. Cisco spawn in the late fall. I got a request recently for a SSRS report that would have results grouped by one field, with page breaks between the different groupings. 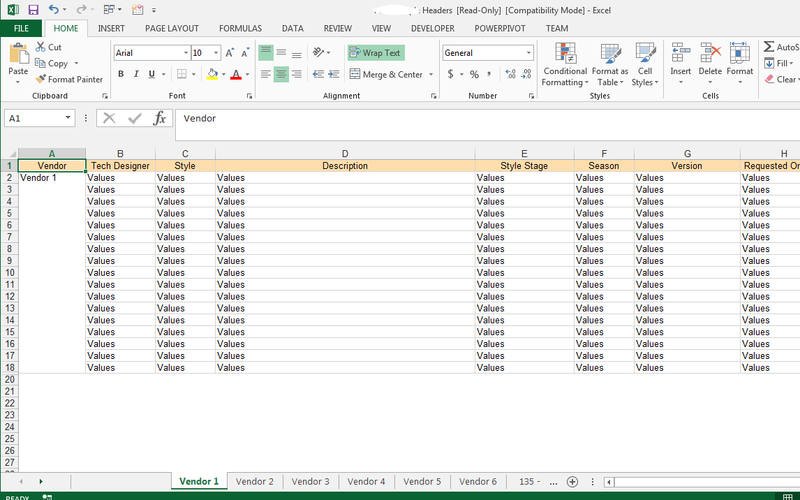 The user also wanted the report to download into Excel with each separate tab being named the group by field’s value. I’d never done this before, so I did a bit of research and built the report as specified. It was actually fairly easy to accomplish. Here are steps I used to create the report. 1. First build the report with a grouping. For this particular report, I grouped on a field called Vendor. 2. Next go into the properties for the row group. 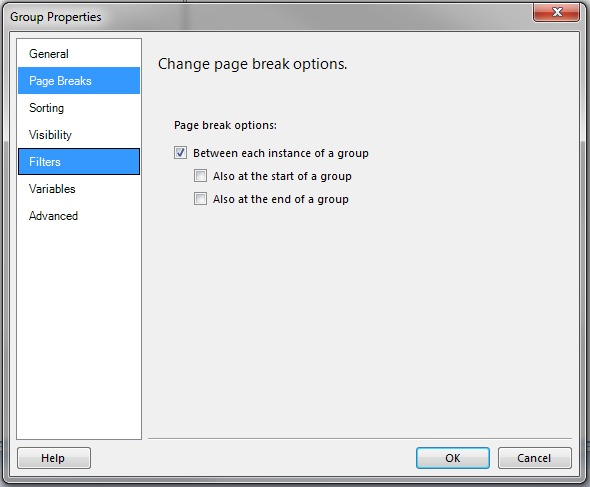 Check the option to create a page break between each instance of the group. 3. It usually also makes sense to sort on the group, so the page breaks are in some intelligible order. 4. 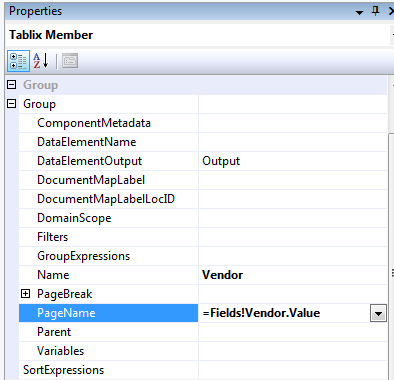 Lastly, select the group and expand the properties menu for the Group section. 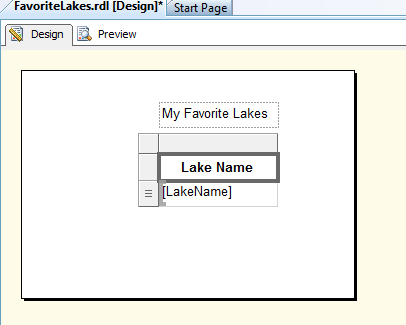 Change the PageName property so it is taken from the value you are grouping on. 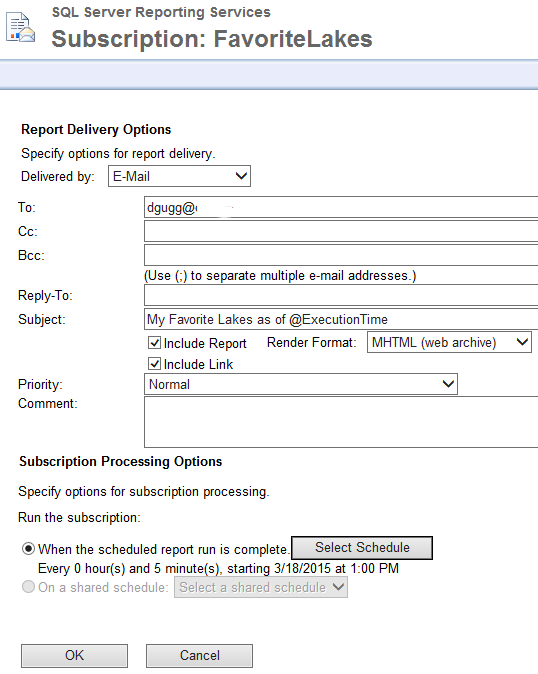 Now we just build and deploy the report, run it, and export it to Excel to see the results of our work. Using this functionality can really make a report useful and polished. Your users will appreciate it! The wait finally ended! The Okauchee boat launch, after being closed for remodeling for most of the year, finally opened back up. I had an opportunity to try it out last weekend, and I was pretty happy with it. They left the existing launch ramp from the previous configuration, and the pitch is absolutely perfect. They cleared out a bunch of trees and a disgusting bathroom, and replaced them with extra parking places, some grass, and a permanent port-a-john. I felt like they probably could have fit some extra parking places if they had made less of it grass. My main complaint is there is no way to stop and clear weeds after pulling out of the lake without blocking other parked trailers or rigs trying to drive out. In terms of fishing, I spent about three hours on the lake fishing for muskies with a buddy. We managed three fairly aggressive follows, but the fish were all pretty small. All in all, it was a great morning and it was awesome being back on Okauchee. 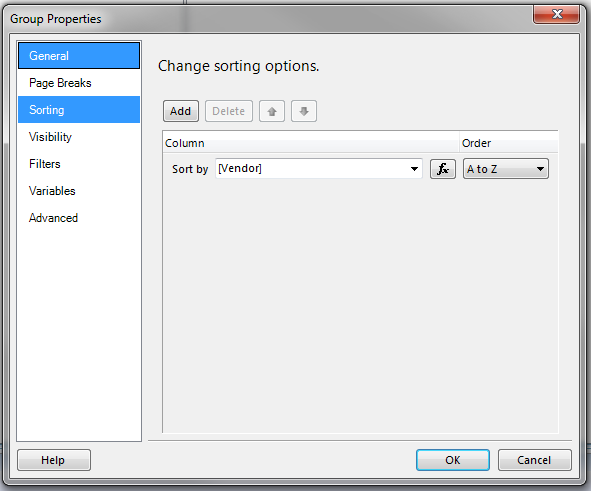 The next step is to set up a new report in SSRS and define the Data Source and your Data Set. Next add a tablix to the report. 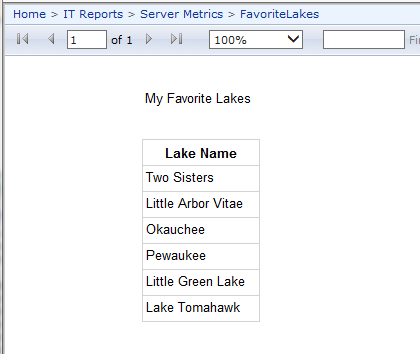 Put your metric data in the right columns and your highest level category in the left column. You need to add a child group for any fields that you want to drill into. I’ll start by adding the Product Department. This will automatically add the group to your tablix. Next pull up the properties for the row group you just added. Go to Visibility, and choose Hide. 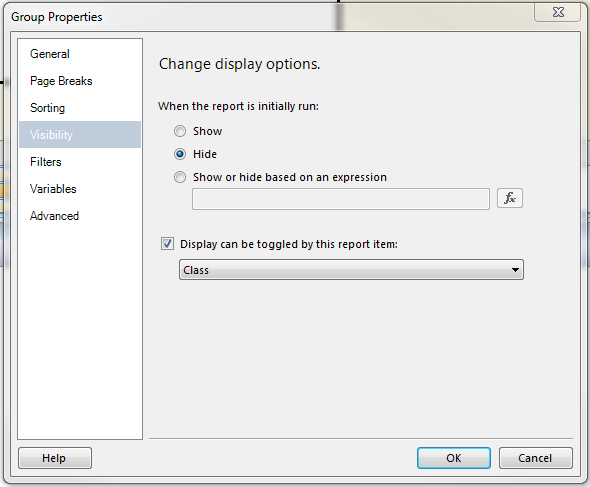 Toggle the checkbox to Display can be toggled by this report item:. Choose the row set of data that is the parent. After deploying, you can now see there are plus signs before any unexpanded Classes and Departments, and minus signs after any that I have expanded. 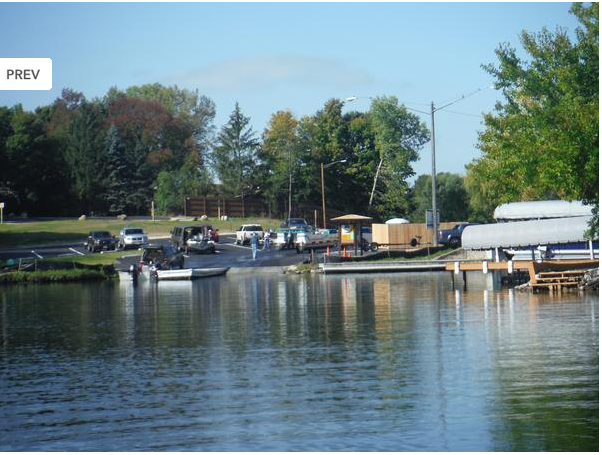 An important part of being a responsible boater is to prevent the spread of invasive species. When pulling your boat out of the water, plants and animals can “hitch a ride” by attaching themselves to your boat or trailer or sitting in your boat’s livewell or bilge area. Then when you move to the next lake they will get off or out of your boat and begin reproducing. This can introduce species of plants and animals to other lakes where they don’t exist natively. The ecosystem of each lake can be delicate, and introducing a new species can severely impact the species that already thrive in the lake. As an example, zebra muscles are an invasive species that are wrecking havoc on the lakes in Southeastern Wisconsin. Zebra muscles look like tiny clams with stripes, and they attach themselves to anything (rocks, sand, plants) and filter particulates out of the water. This makes the water much clearer which impacts the predators, who will now need to find more effective ways to ambush their prey. I was surprised to find a local lake closed due to an invasive plant species, Starry Stonewort. From what I’ve read, this plant grows so thickly that poison is ineffective in trying to destroy it. It also hardens almost like coral, and reduces the amount of area that fish can use to spawn. It is very important to check your boat and trailer after pulling out of the lake but before leaving the launch to make sure you are not carrying any aquatic hitchhikers. 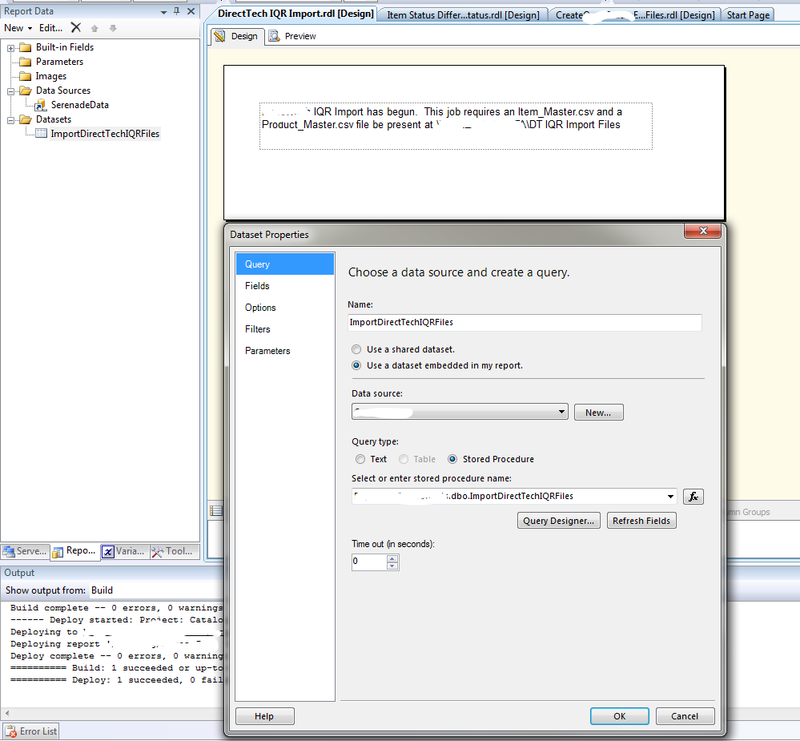 SSIS is a great tool for many tasks, especially moving data into and out of SQL Server. However, this tool is not easily accessible to the majority of the members of many organizations. 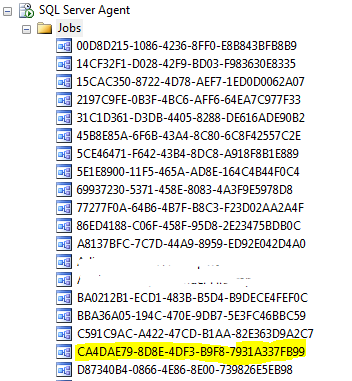 One good way to let these types of users move data around is to set up the SSIS packages to be run in an SSRS report. Unfortunately there are a few steps to get this set up, but once you have it up and running you can cut yourself out of a lot of simple but time consuming tasks by letting users load or extract their own data to use in Excel or anywhere else. 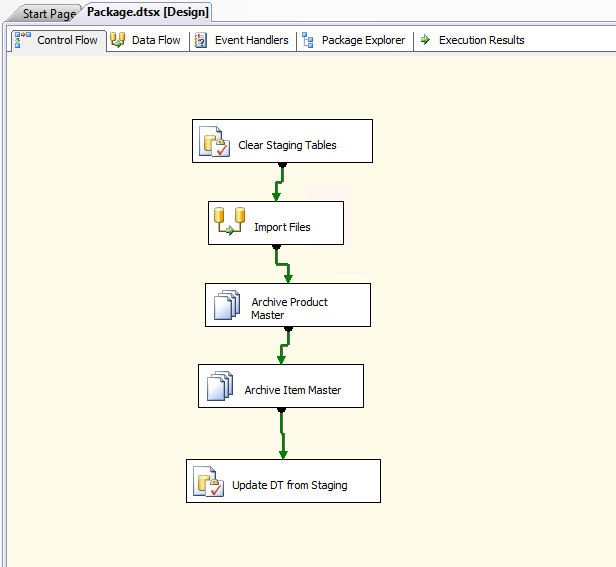 The first step is to create an SSIS package to do the actual movement of data. The input or output will usually have to have a standard naming convention and standard field configuration. 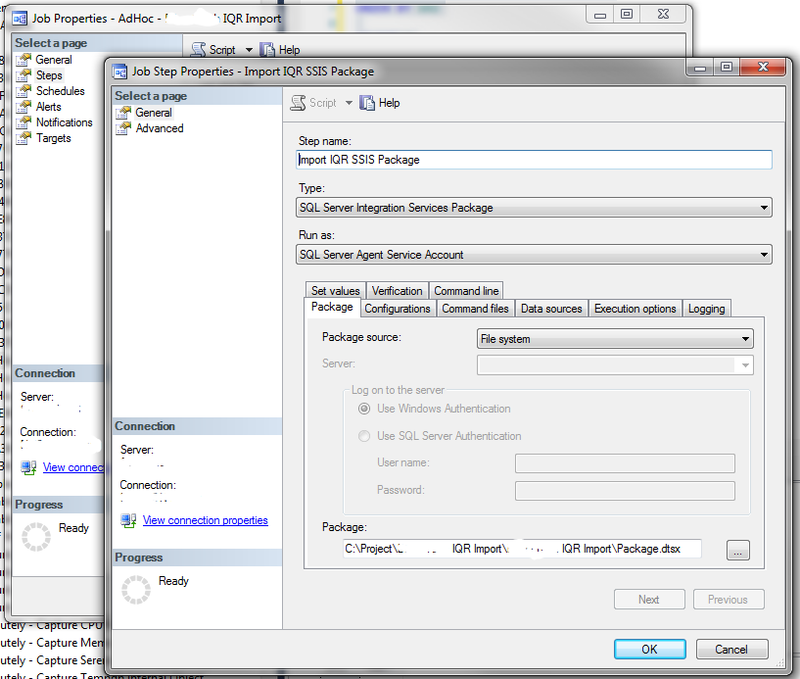 Next, create a SQL Agent job that will run that SSIS package. 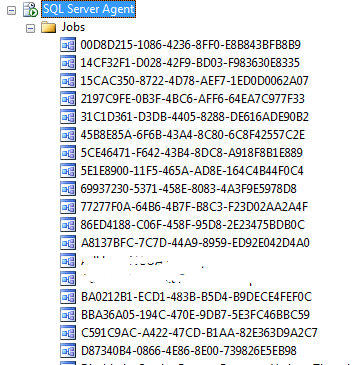 The next step is to create a stored procedure that will run that SQL Agent job. 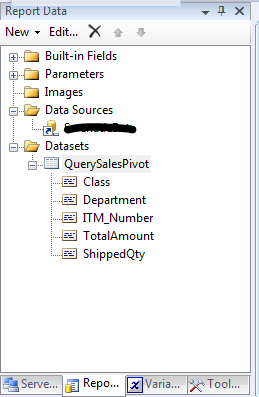 Lastly, create the SSRS report that will use that stored procedure as a data source. 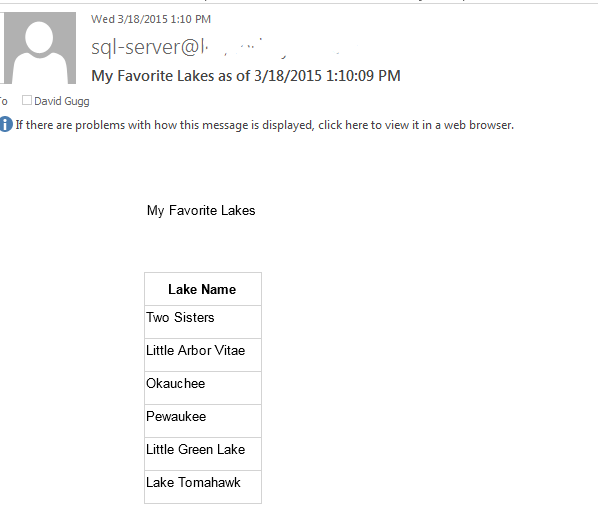 Now when the user clicks to view the report, the data will be successfully imported or exported into SQL Server. It can a good idea to make the SSIS package as robust as possible with error emails sent to those who you expect to be running the report, that way if the import or export fails, the user can figure out why (often a misnamed file or missing field) without having to get you involved.